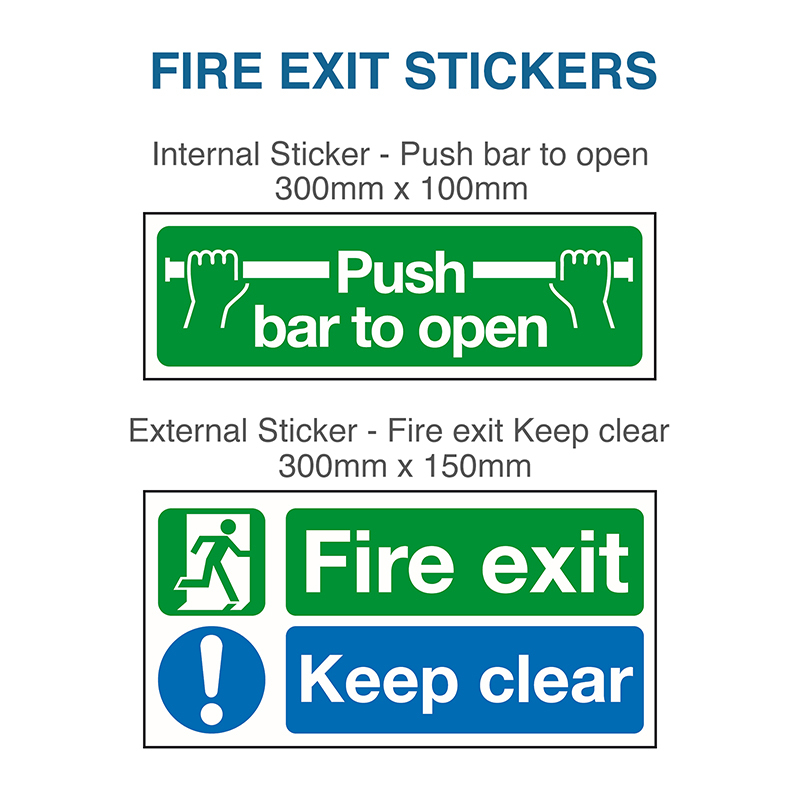 Our Budget Fire Exit Door is a great value emergency exit option when looking to satisfy fire regs and building control. 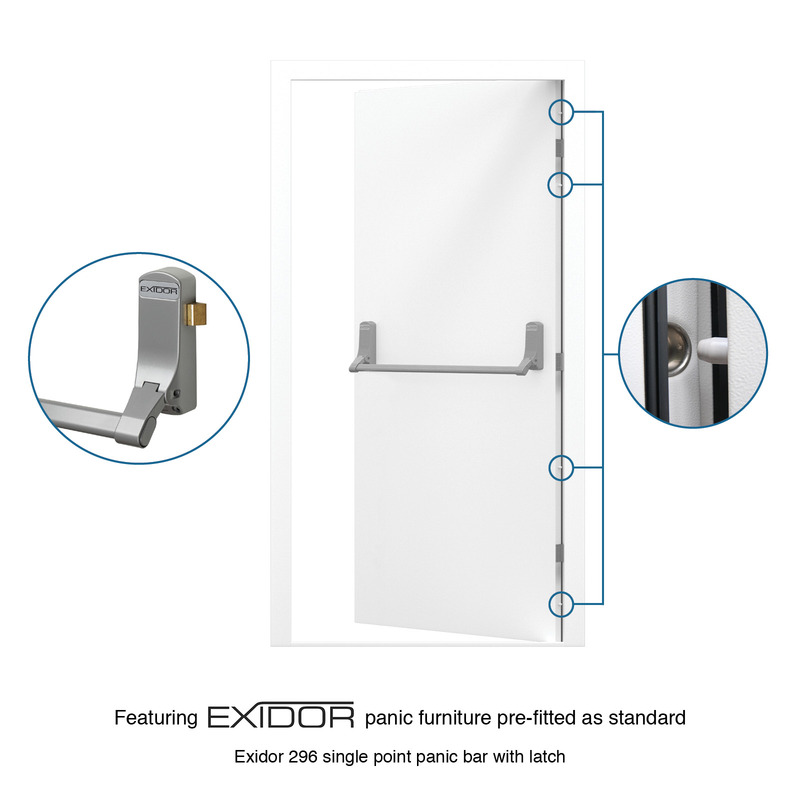 It comes fitted with an Exidor 296 fire escape door push bar. 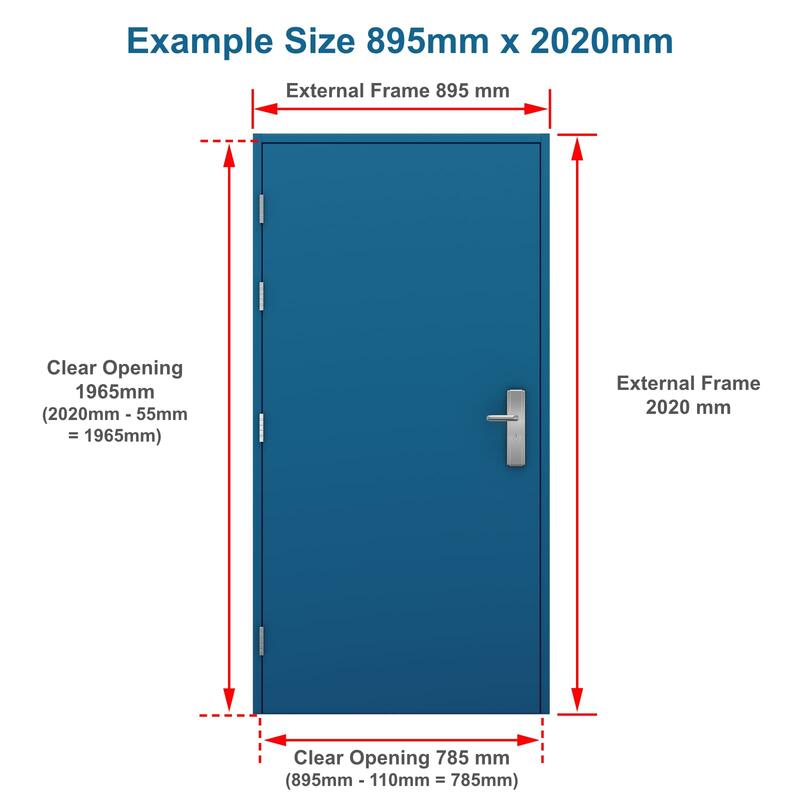 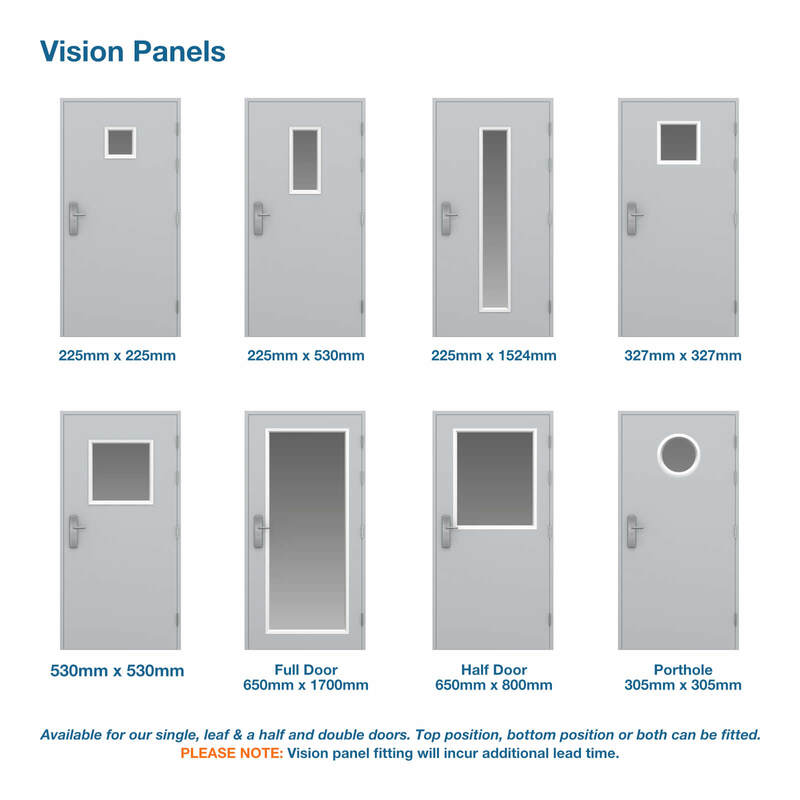 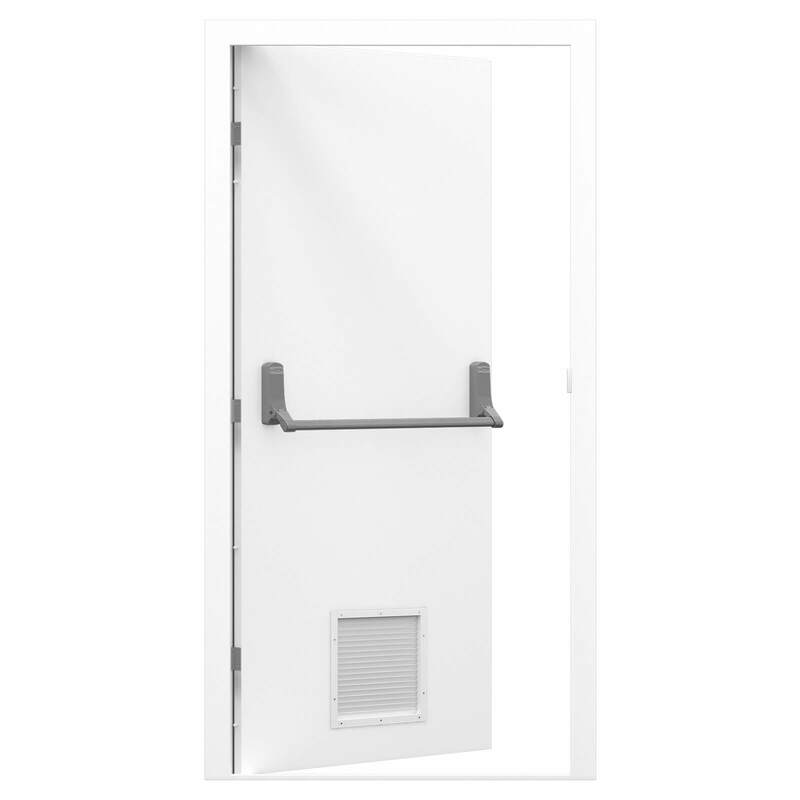 For applications also needing a level of security, see our Security Fire Exit Door which comes in a larger range of sizes (from 695-1145mm wide) and a more secure Exidor 294 adjustable 2 point panic security push bar. 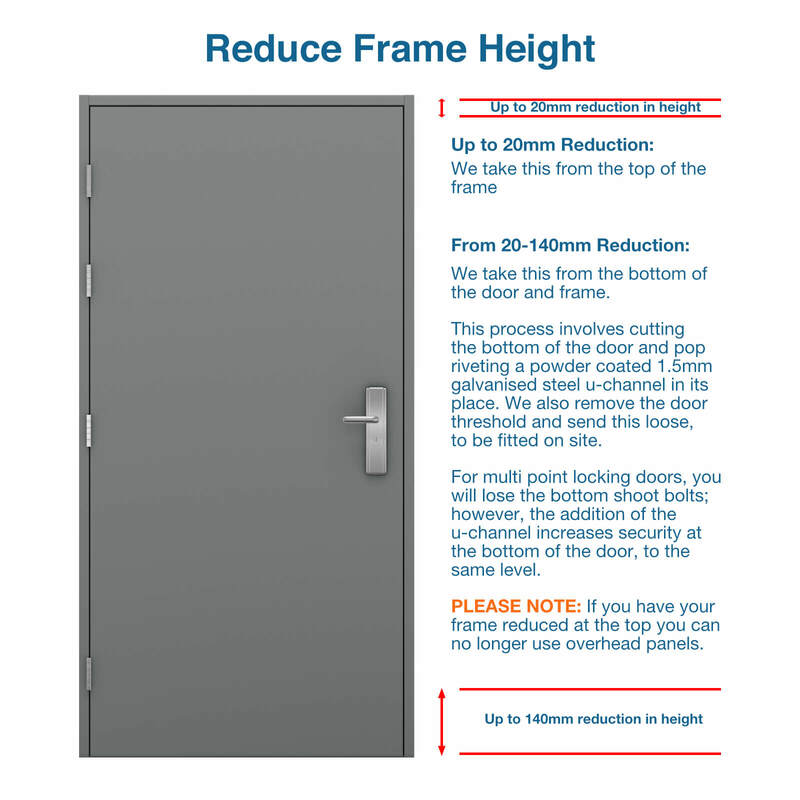 Our budget fire exit door is one of the lowest priced fire exit doors in the UK, it comes fitted with an Exidor 296 single point panic bar and still meets fire regulations. 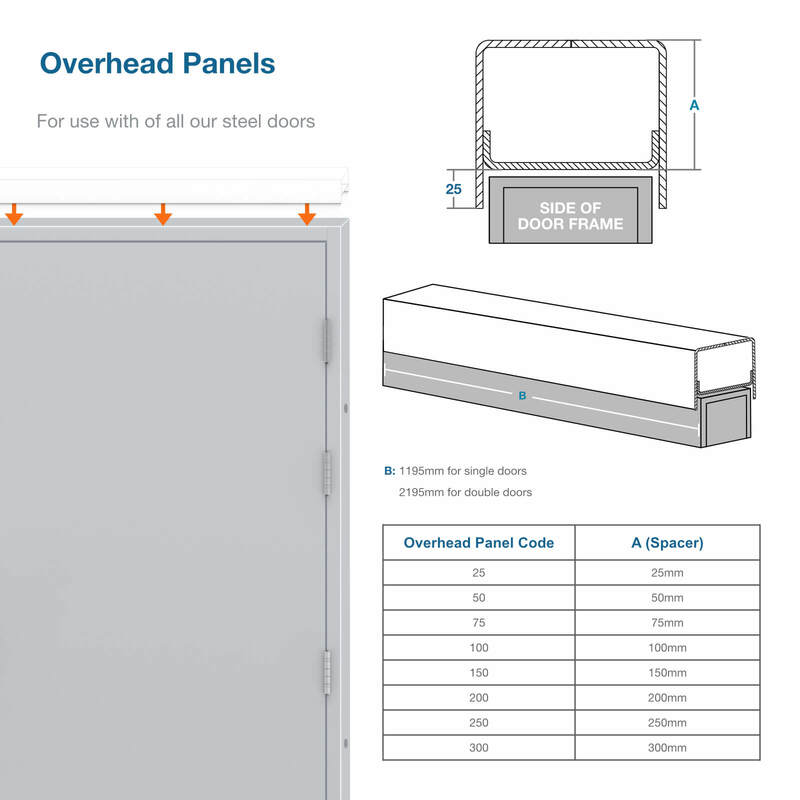 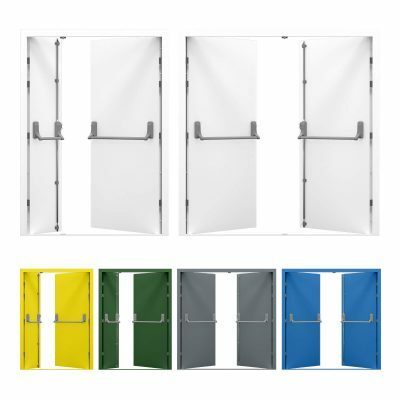 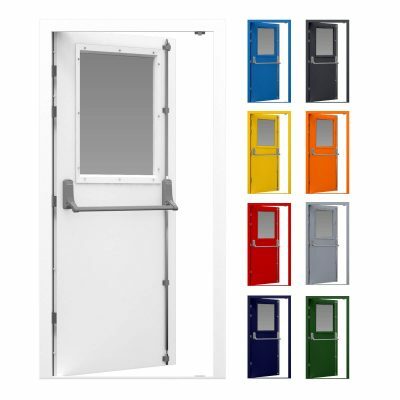 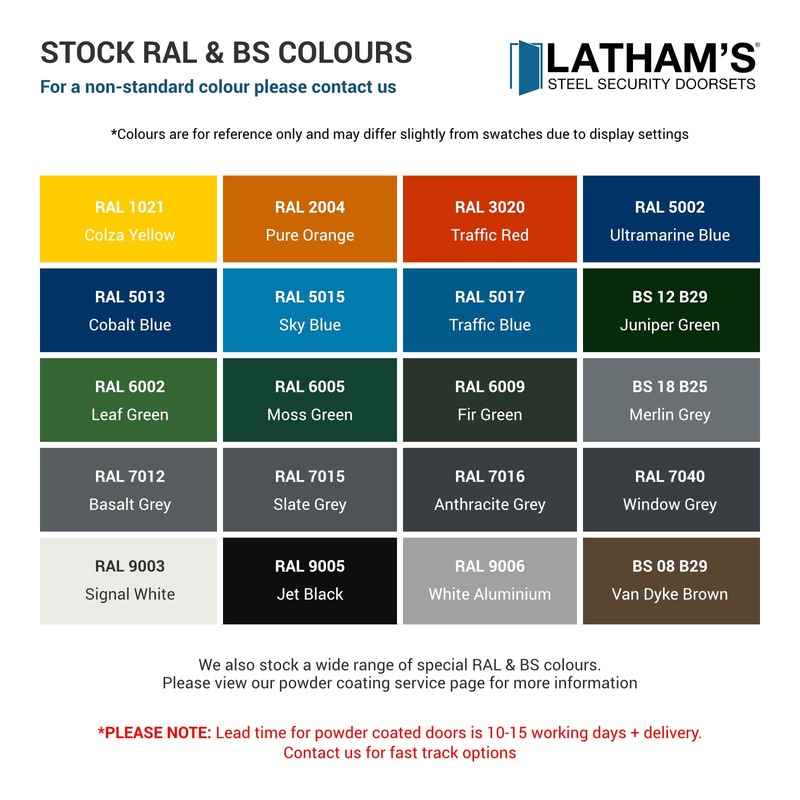 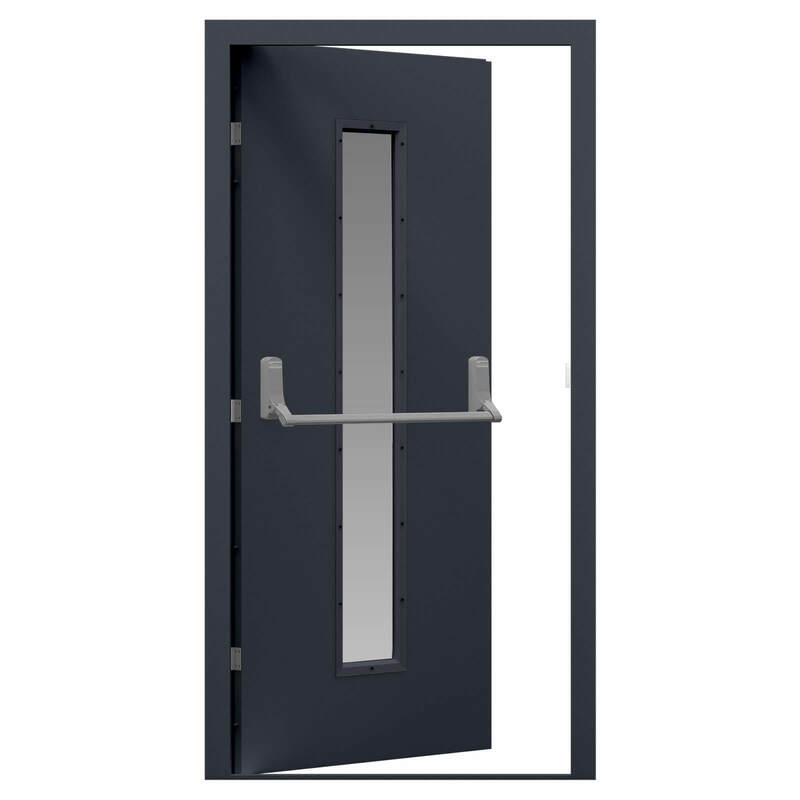 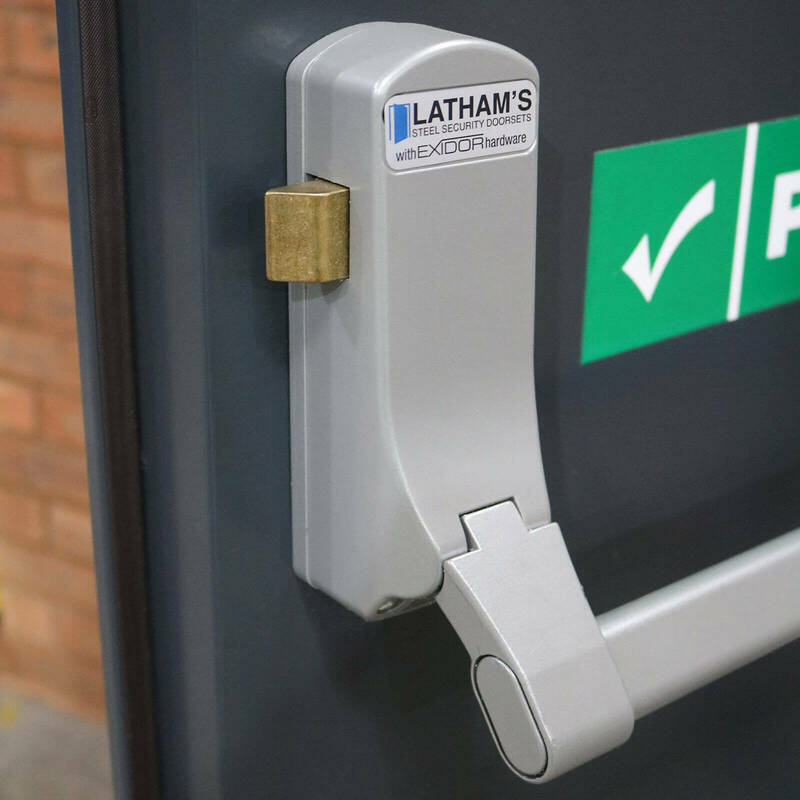 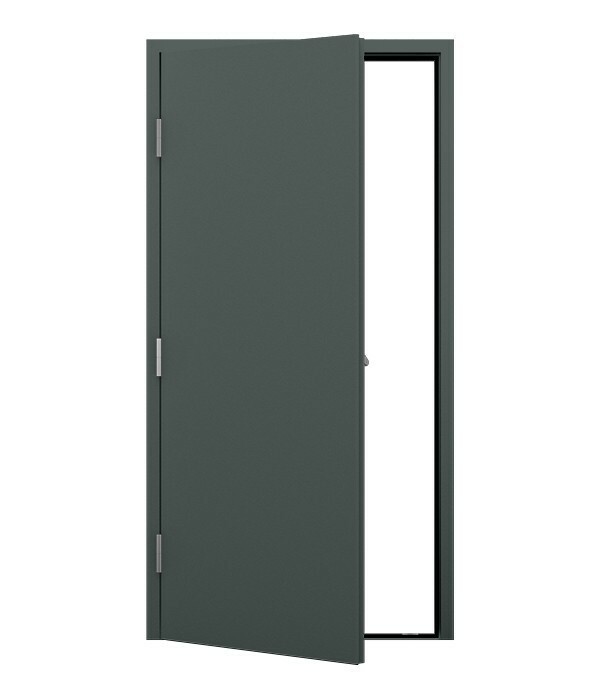 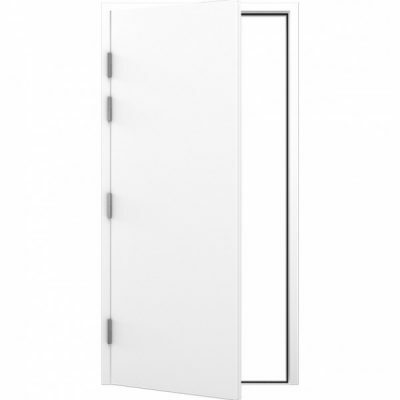 As with all Latham’s steel doors, this door comes powder coated in white (RAL 9003) but can be customised to almost any colour to provide a bold fire exit door, ensuring maximum safety. 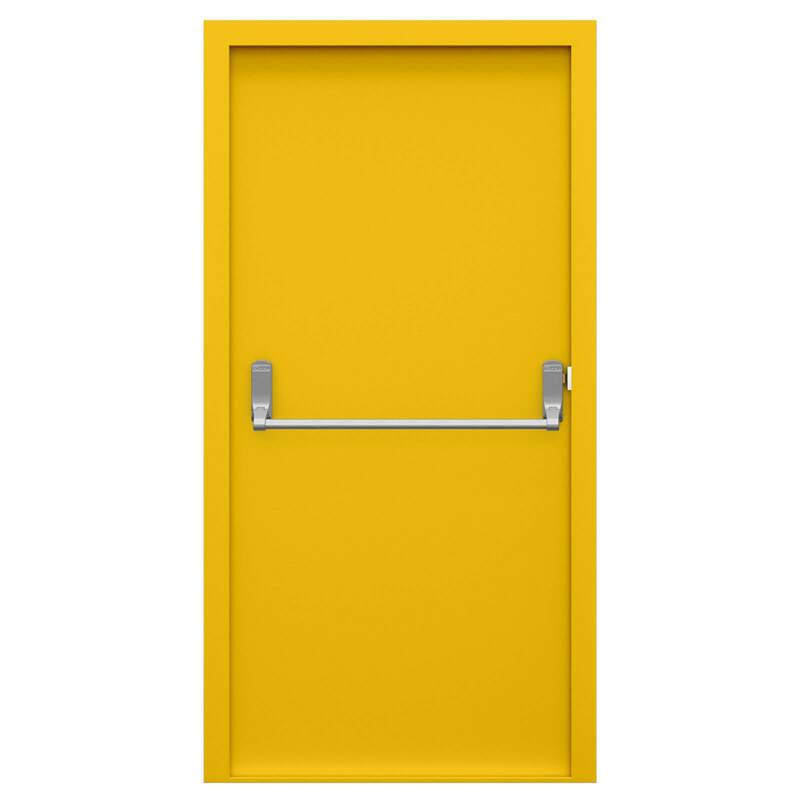 Previous customers have opted for Canary Yellow and Traffic Red so that their fire exit door stands out during an emergency. 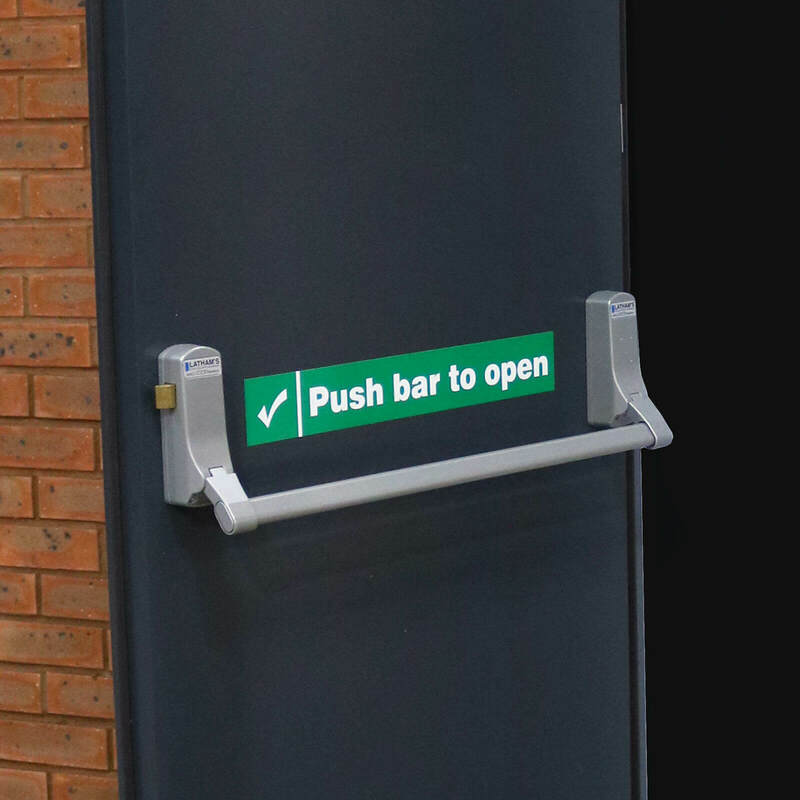 This fire exit door is secured with 3 stainless steel heavy duty lift-off hinges and 4 dog bolts and an Exidor 296 single point push bar. 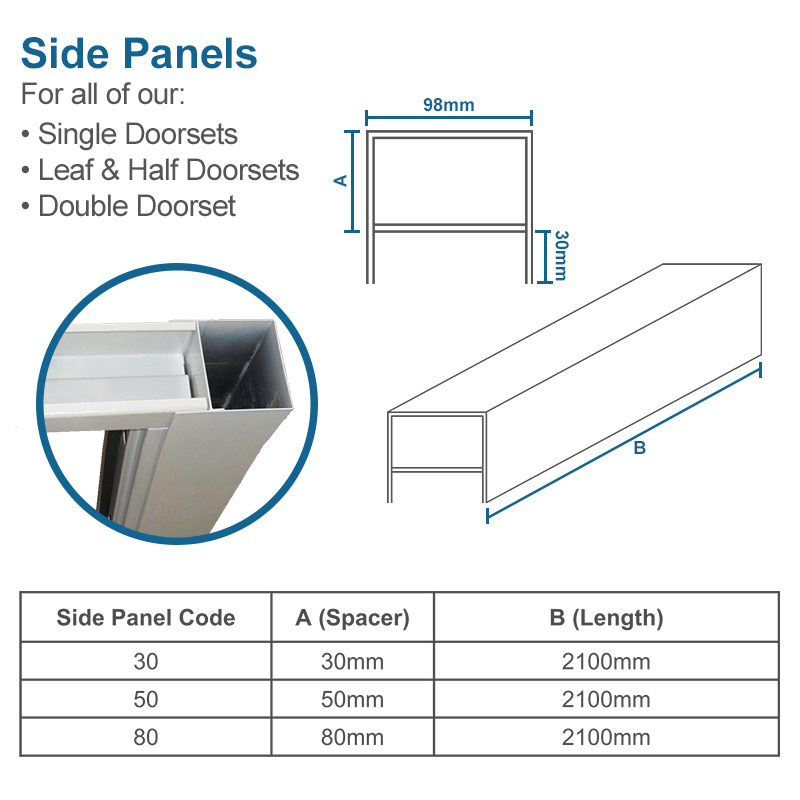 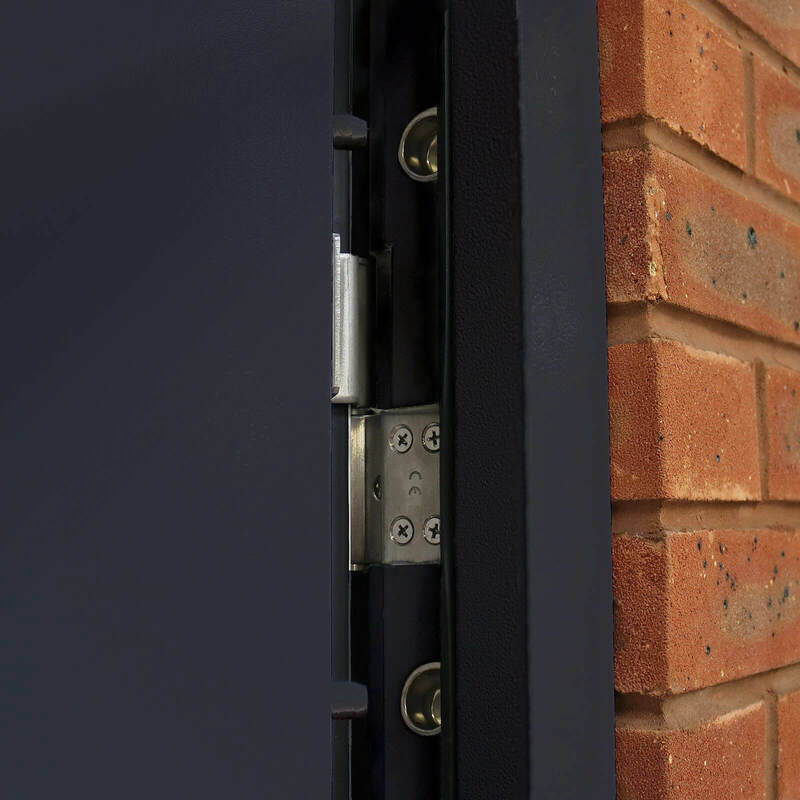 If you’re in a rush to meet fire regulations on your property, all our doors are carried in stock and available for next day delivery via dedicated courier. 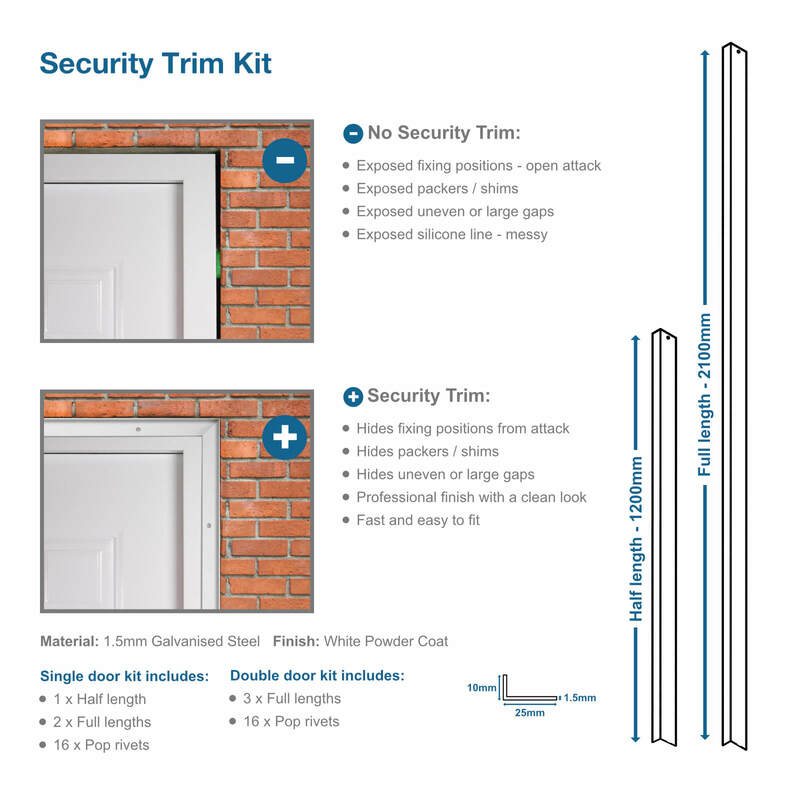 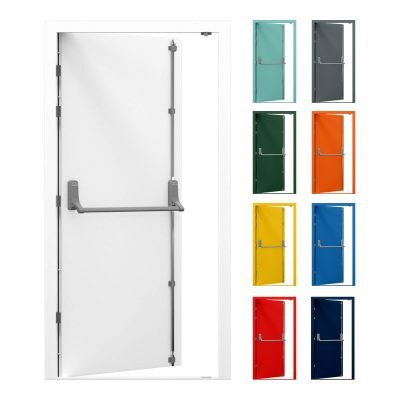 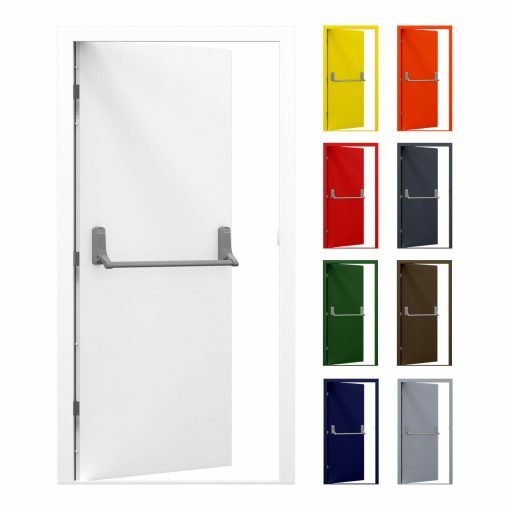 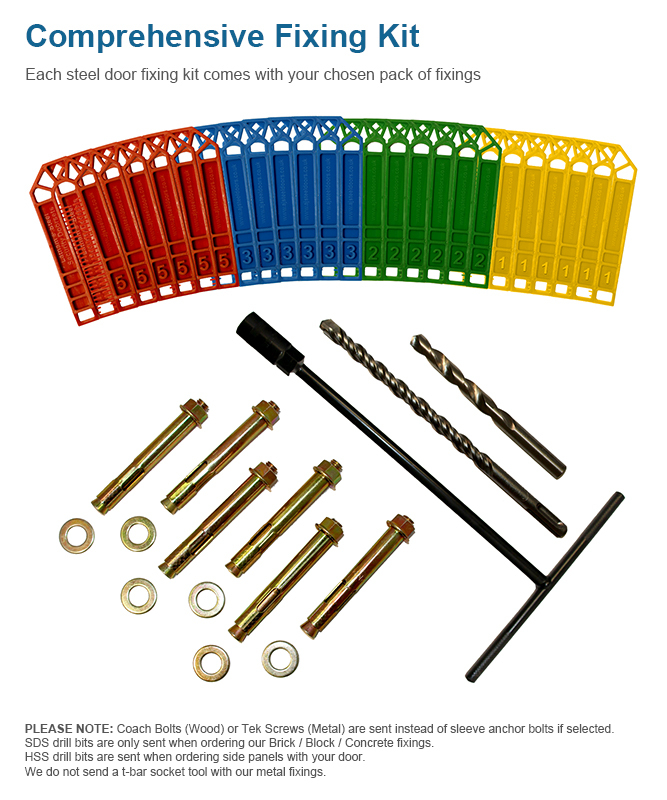 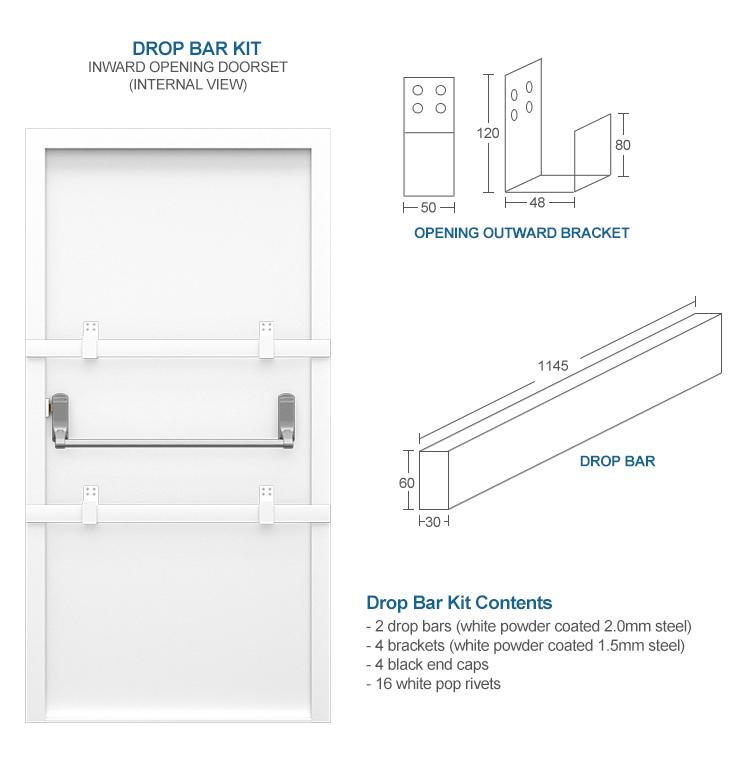 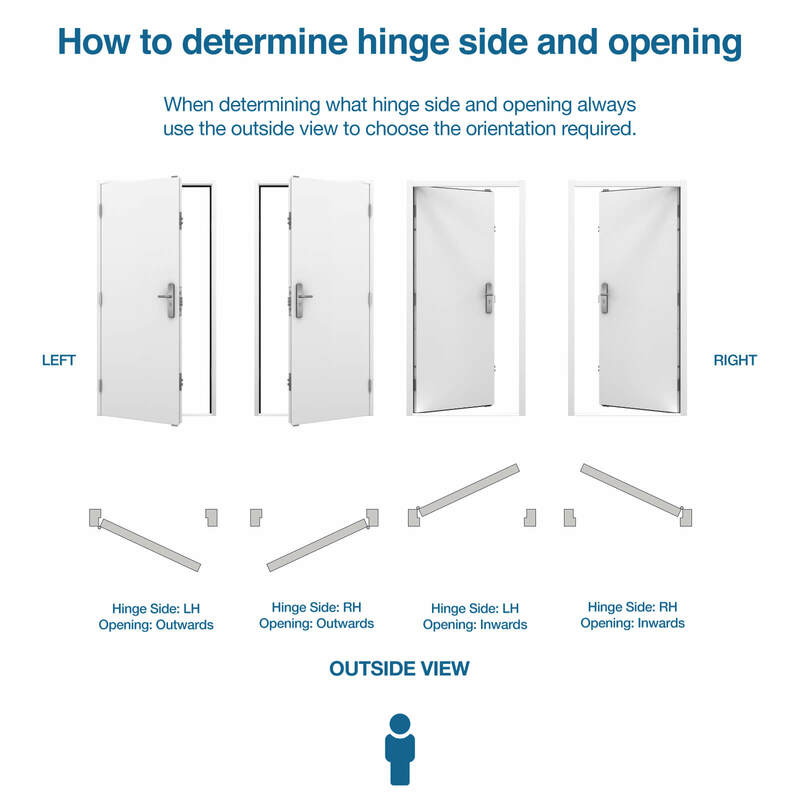 Perfect for last minute projects or replacement after damage to existing doors. 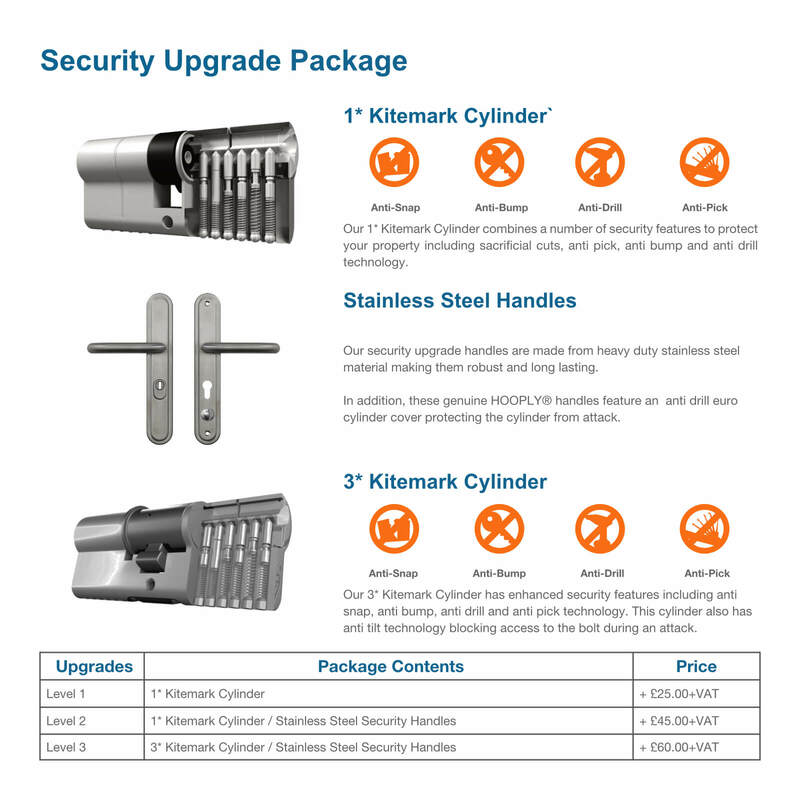 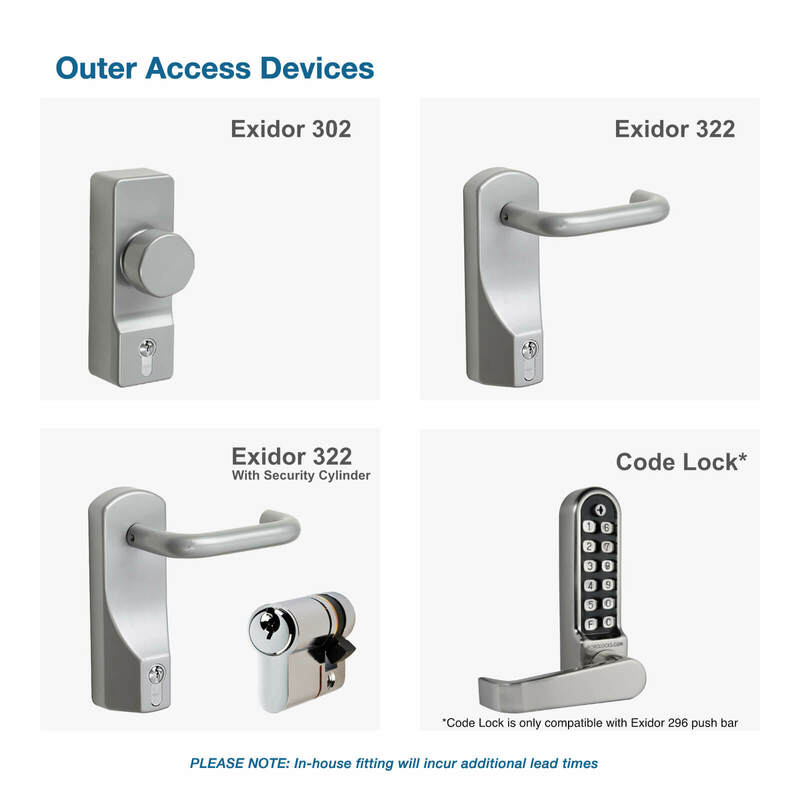 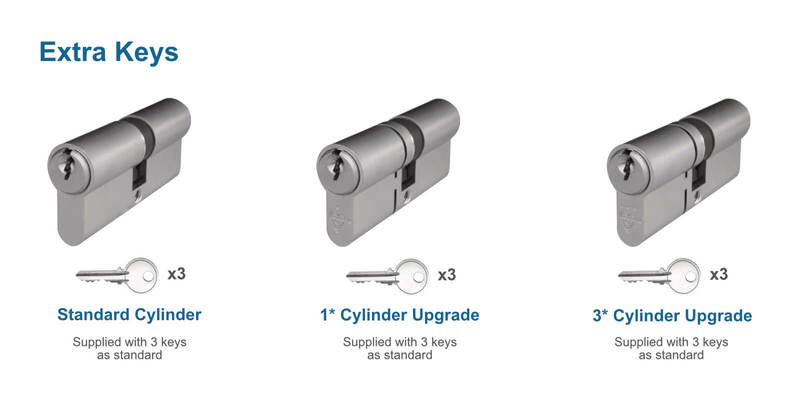 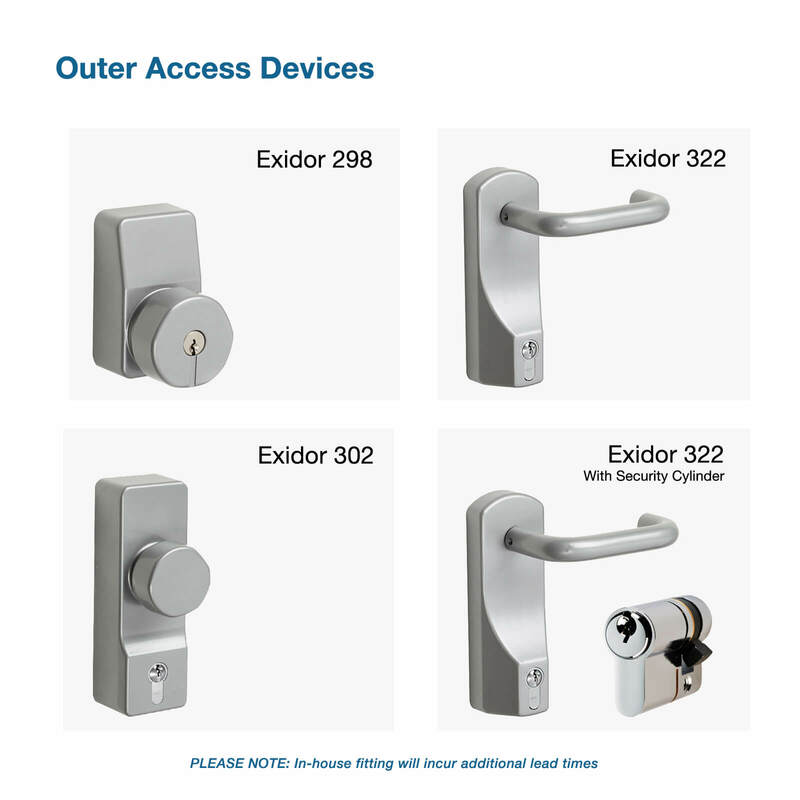 We have a range of OAD handles and knobs available for outer access, including an Exidor code lock for maximum security.